4# boiler (75t) of coal gangue plant of circulating flow bed boiler. Technics of boiler is following: burning is low temperature burning. Fuel is delivered to boiler chamber by coal feed system. Primary air entrances to fire box from air distributor bottom, ensuring material fluidization. The secondary air entrances along height class, increasing oxygen to ensure full burning. Materials of fire box vibrate intensively by fluidization air action. Part of solid materials are brought to boiler chamber by high speed air flow. Some big granules flow along chamber inside by gravitation. Some small granules entrance material separator following flue gas. Gas and solid are forming inside chamber. After separation of solid and gas, granules left return to fire box. Gas separated leaves boiler. Because boiler has separator of high efficiency, granules left return to chamber. Ash concentration of chamber is high. Circulating flow bed boiler differs from common boiler which only has radiation heat transfer. Circulating flow bed boiler also has other heat transfer modes such as convection, which heightens heat transfer coefficient of chamber greatly, ensures boiler to reach rated output. Circulating flow bed boiler has low requirement for coal quality. Its pollution material discharging is very low. So it is boiler of environmental protection which is promoted widely by state. Flue gas system of the boiler has characters of many fans, complicated system, high pressure of fan, big power consumption, complicated operation, big design margin and big variety of load. External factors also affect boiler operation, especially ID fan which involves in pressure adjustment each time to ensure separating effect. In addition, generator usually needs peak adjustment. Load variety is big. ID fan demands to adjust air pressure and flow urgently. At present, there is damper control and variable speed control. Here are problems of conventional damper control: non-linearity adjustment, insensitive control, affection on relevant control system, serious energy waste. So variable speed adjustment is the best way. There are many methods to change motor speed. Variable frequency speed adjustment is the most advantageous. As execution system of auto burning control and negative pressure control, medium voltage inverter ensures accurate control and timely control of air flow. inverter overcomes disadvantages resulted from damper control, archiving energy saving. Machine usually runs in 70~80% load. ID fan adopts damper adjustment. In order to ensure motor safety, redundancy of fan and motor are big. Damper opening is about 70% when machine runs in full load, about 40% during peak adjustment. 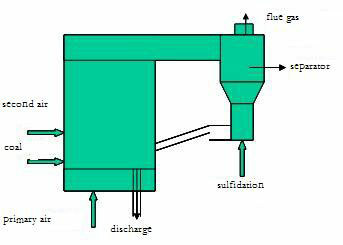 This method just changes flow resistance, but does not change output power. Throttle loss is quite serious. In the meantime, start current of motor is 5~7 times of rated current. The impact current would damage motor. Automatization level of fan system is low. Adjustment is not timely and efficiency is low. Thereby, plant decides to make reconstruction for fan with variable frequency mode, in order to reduce throttle loss, flooding loss and heighten economy. From above table, power factor heightens 0.16 when flow is 62, heightens 0.19 when flow is 58. When machine runs in variable frequency, power consumption reduces 86kW when flow is 62, reduces 116.3kW when flow is 58. In the case of same output, inverter saves 2427.6kW.h. Energy saving rate is about 40%. After reconstruction, power consumption of plant lowers to 11% from 18%. 1. After inverter reconstruction, damper is full open. Throttle loss is zero. Because inverter can adjust air flow smoothly. Personnel adjusts burning easily. Operation parameters of boiler are improved. Boiler efficiency is heightened. 2. inverter can adjust speed to make fan work in rated state, which avoids vibration resulted from motor apart from rated work area. Generally, main function of inverter is to reduce motor speed. Components lifetime are prolonged due to slow start-up and speed down. In the meantime, it also lightens corrosion on flue damper, which prolongs maintenance period, decreases much cost. 3. Speed adjustment system implements computer linkage control between running equipment and spare equipment. Machine runs automatically. It has protection and alarm. Daily work changes to monitor from manual control, which realizes unmanned operation and lowers work labour greatly. 4. System implements soft start by inverter. Start current is just rated current. Start-up time is prolonged. Soft start reduces impact on power grid, lightens mechanical damage on motor, extends lifetime of motor. Medium voltage inverter has evident energy saving effect, especially in low load. Frequency inverter implements soft start, prolonging lifetime of motor. Damper of ID fan is full open, which reduces vibration and wear. It will apply in more and more power plants as its perfect energy saving effect.